At McKee we approach animal welfare very differently from mainstream rescue organizations: we believe that if communities are not involved in the solution, animals will never lead better lives. Thus, we change how people view and treat their animals, to improve veterinary skills, to create a new veterinarian/client relationship and to provide a framework for communities to sustainably and humanely lower the overpopulation of dogs and cats without building shelters or resorting to mass euthanasia. Over the past 12 years, The McKee Project has developed and taught spay and neuter techniques to 650 plus veterinarians in 8 Latin American countries. The reason McKee believes this teaching is critical is that the majority of veterinary schools in Latin America do not teach how to spay and neuter companion animals, as they do not believe it is a commercially viable practice and more importantly, a humane strategy to control overpopulation. Traditionally veterinarians in Latin America are trained for agricultural animals or for food supply safety. Veterinary care for dogs and cats is not even a consideration. The McKee spay neuter technique takes minutes, utilizing a spay hook, and makes an incision of about one inch – this is a less invasive procedure, quicker, less traumatic to the animal, and approximately 60% more cost-effective. This quicker and less invasive technique allows countries to provide service to the thousands or millions of animals on the street much more efficiently. The result of McKee Project’s training has in fact created a cultural shift where veterinarians are shown that spay and neuter of companion animals can be commercially viable by the creation of a new client base of dog and cat owners, as well as creating a new relationship between owners and their healthier pets. Besides spay neuter training for vets and their communities, McKee believes that pet “owners” need to be trained to invest in their animals as well. There is a cost associated with spay and neuter of companion animals, based on each veterinarians cost and owner’s ability to pay. Initially assessed by owner resources, the cost is minimal. When spay neuter is first introduced to a community Mckee finds that 10% of the companion animals from the area take advantage of the low cost service. Over time, neighborhood animals are seen to be healthier and thrive without multiple litters. Slowly but surely more and more owners seek spay neuter. Statistics show that 70% or more of the companion animals in each area must be sterilized in order to have a marked effect/control breeding of unwanted and uncared for dogs and cats. Thus Mckee has a big job if we are to make a difference. 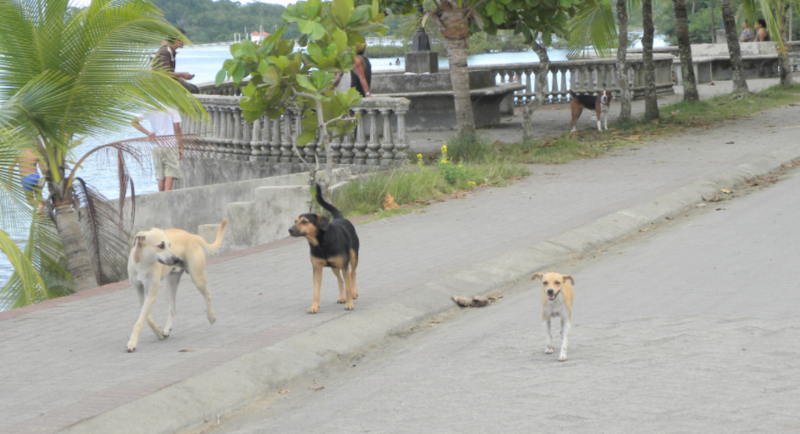 Through your donations (click on the donate menu item) we can ensure this slow and culturally altering educational and training process happens in volume across Latin America, that it impacts the suffering of animals that are abandoned and abused from lack of housing, food, water, and companionship of humans. If you want to get involved with The McKee Project please send us an email at info@mckeeproject.org, we have veterinarian training and community spay neuter programs happening regularly in Costa Rica and around Latin America. Together we can make a difference, one day at a time.